Kid love the idea of sewing with felt, but beginning sewers especially lose patience with sewing projects. 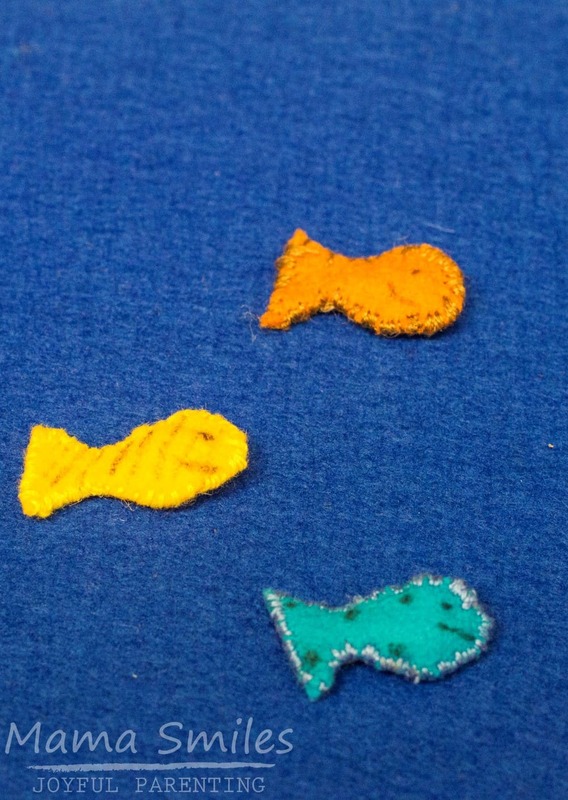 These tiny felt animals make a quick and easy sewing projects kids love. Their tiny sizes means they come together quickly. I’ve included three different animals here, but once you get the basic idea you can design as many different animals as you like. The key is to keep the design simple enough that cutting it out is fairly straightforward. This is also a great project for using up scraps of felt! These also make wonderful traveling crafts, since all you need are embroidery needles with sharp tips, embroidery floss, scissors, stuffing (I recommend Cluster Stuff), a little bit of wool felt. My children chose to use a basic black gel pen to add faces, but you could also embroider them on. LiEr of ikatbag has a great basic stitches resource, should you wish to take the embroidery route. LiEr’s resource includes an illustration of the whip stitch we used to sew the edges shut. These simple tiny felt animals were inspired by Emma’s memory of making a truly tiny cat out of our Microcrafts book. these animals are slightly larger than the cat in that book, and we created our own cat design that we happen to like better. Lily designed a bunny to add to the mix, and then Johnny design fish to sew. The fish are the easiest of the three animals, so if you have a true beginner you could start with them. 100% wool felt is much more expensive than the craft felt that is in every craft store. Why bother with wool? It stays looking nice much longer. It is also infinitely easier to sew. Children can sew close to the edge without the felt fraying the way it does with craft felt. 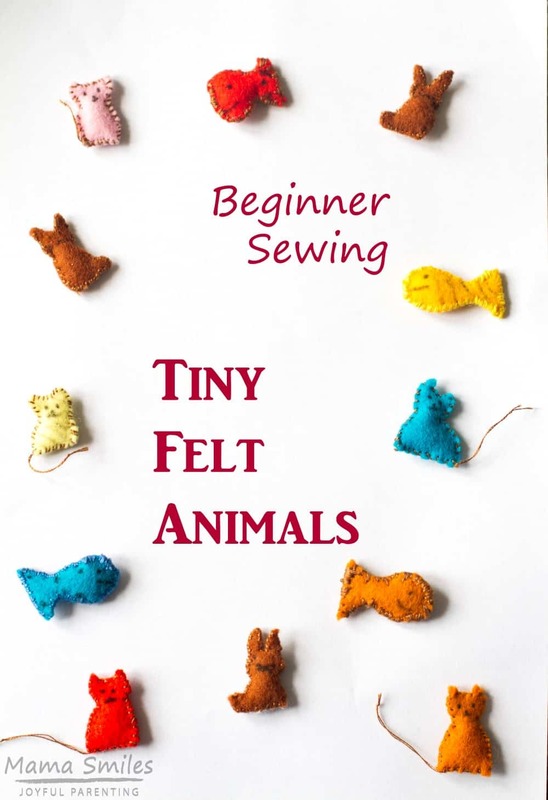 Since these little animals are so tiny, you can make a lot of them out of a single sheet of felt. All of these felt animals start out as a rectangle of felt. I then cut off the bits we don’t need. Emma’s cat is sitting on the ground sideways, so one side is longer than the other. I cut a small half circle off the top of the head to form the ears. Start sewing right where you want the tail to be. Stitch all the way around, pausing to stuff through the bottom of the cat. Once you have stitched all the way around, tie a knot. Leave a length of thread to form the cats tail, knotting that at the end as well. Lily designed this bunny, which is sitting up similarly to the cat. Like the cat, it starts off as a rectangle, shaving off felt to form the bunny shape. We usually stitch up the right side of the bunny’s face first, stuffing through the right side of the bunny before stitching shut. These little fish also start off as rectangles. The back of their tail is the short side of the rectangle. We start sewing on the top of the fish, right where the body ends and the tail starts. Stitch around the head and then stuff through the top of the fish. Johnny likes to custom decorate his fish using the same gel pen the kids use to draw on faces. 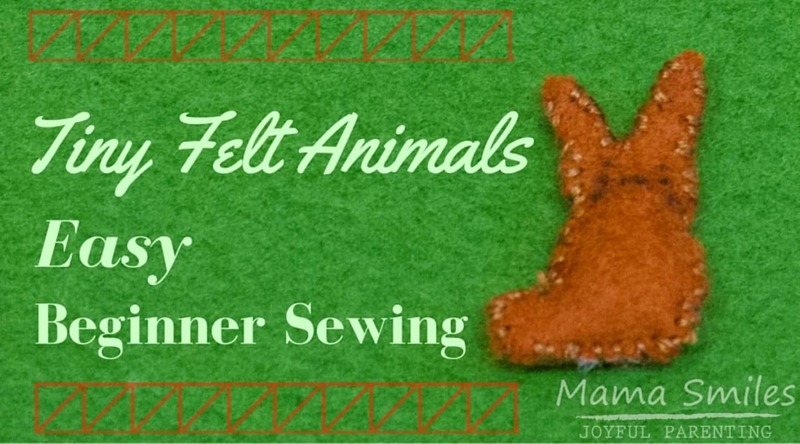 What tiny felt animals should we sew next? Do you have a sewing project you think my kids will love? Let me know in the comments or on my Facebook page! What a great idea! I loved your tiny animals and as you said nice and quick for kids to make. I think Emmas cat with her sweet tail stole my heart. Thanks for being a part of Sew-a-Softie day!!! These little animals are adorable! I love how you share your love of sewing with your kiddos! I love those little felt animals! They’re adorable! So cute!!! 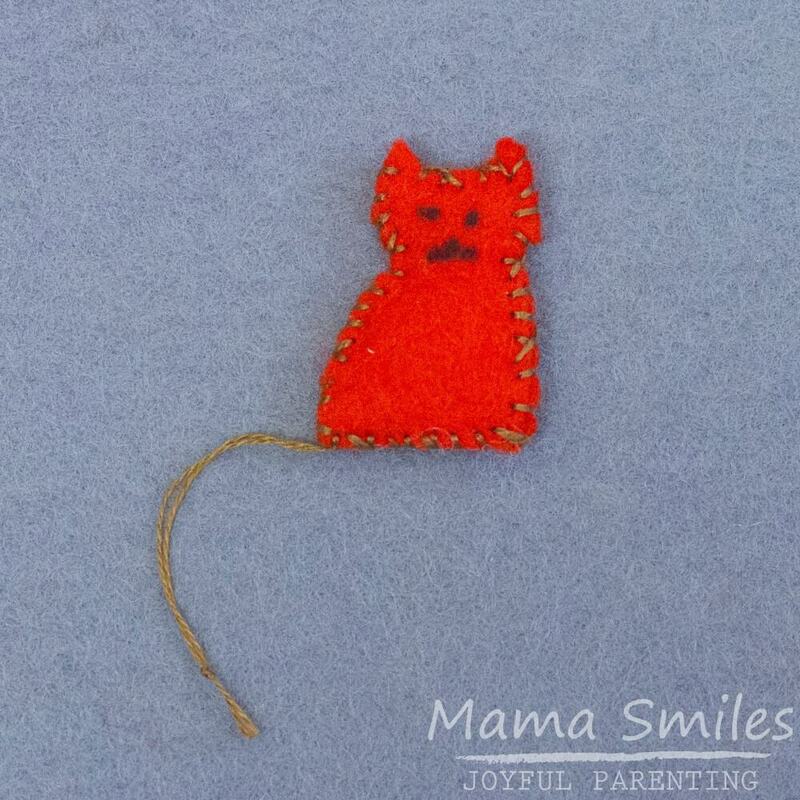 Sewing with felt is fun and rewarding, and I love your kids’ designs! I LOVE how these turned out! Kids like teeny and it’s great for carrying around in a pocket! These tiny animals are almost too cute.